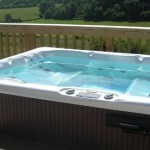 www.spshottubs.co.uk We are really excited to announce the launch of our new website dedicated to our Hot Tubs! www.spshottubs.co.uk Check it out and let us know what you think! We apologise that we will be CLOSED for the next two Saturdays. Apologies for any inconvenience. Please visit us at our stand at the Malvern Autumn Show 23rd and 24th September.